When I entered my short story Arms of Angels in our local newspaper The Sentinel's Too Write competition in May I never expected to hear anymore. 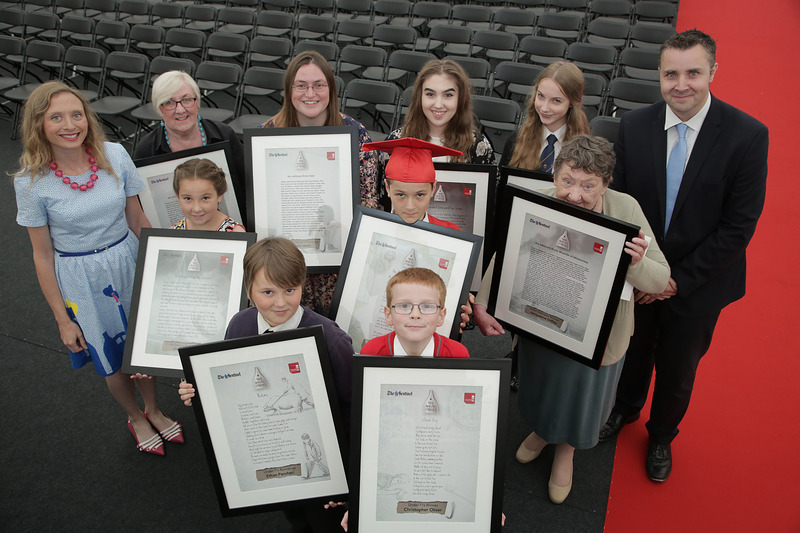 I was delighted therefore when Jenny Amphlett, their Senior Journalist emailed me to say it had been shortlisted and invited me to the awards ceremony at Trentham Gardens Awards Village where Staffordshire University hold their graduation ceremonies. I asked my friend Connie (Carmel for anyone who's read my memoir Better or Dead) if she'd be my guest and I was very pleased when she agreed. Martin Tideswell, the Editor in Chief of The Sentinel announced the winners and said that no-one would leave empty handed. I thought, 'Oh, we must all get a certificate or something then. How nice.' He said that there had been 900 entries for the 3 categories: poetry for children, a short story for 11-18 year olds and a short story for adults. There was a winner and two runners up in each category. 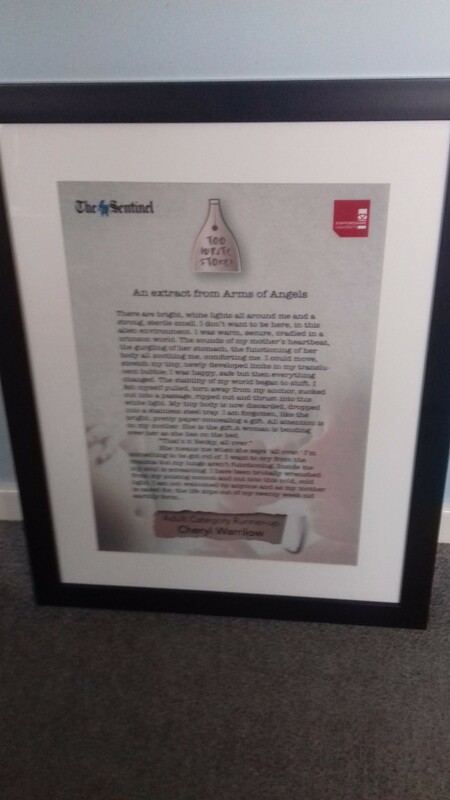 I was absolutely thrilled to be a runner up and be presented with a most beautiful award of a framed extract of my story. Afterwards there were photographs and I'd also taken my own camera and asked Connie if she'd take one of me with my award. "Oh yes," said she, "but I usually cut heads off." "I'll take one for you duck," said a voice beside me, "if you tell me what to do," and I looked to see Martin, the editor of The Sentinel, so I was honoured indeed! Connie and I had a fabulous afternoon and we met some lovely people. 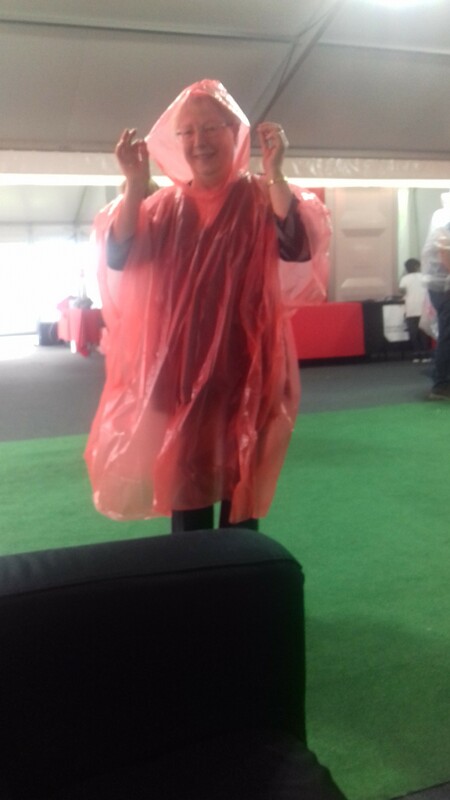 The rain lashed it down outside but it didn't matter, we were undercover, and ponchos were provided to get to our transport, as Connie models so beautifully! My runner up entry and some other stories and poems can be found in my collection Just A Moment available in ebook from Amazon and paperback from feedaread.com For details pop over to the Just A Moment page.